Lisbon’s mile-high mountains and gorgeous beaches are complimented with a stunning variety of architecture – from Roman fortifications to mosaic-rich monasteries. As the capital city of a seafaring nation, everything from seafood and special crafts to sports and business thrive here. Advice: Just try going once, you will love Portugal! Favorite night clubs: Night clubs in Lisbon’s docks near Tejo river, under the Bridge of 25th April, or night club Pavilhao Chines, Rua Dom Pedro V 89, in the city center. Best-kept secret: If you want small black espresso, you have to order “bica”. Otherwise you will automatically be given a big one. Advice: Visit a restaurant with “fado” – touching guitar songs. The authentic ones you can find in Bairro Alto and Alfama districts. Advice: Go for a late dinner, after 22:00 or even 23:00. If you go too early, you will miss the local restaurants’ unique atmosphere. And also one dream hotel – men’s monastery 2 km away from Capa de Rocca. Favorite night club: Small bars on the right side of the port square in Lisbon. Favorite attraction: The elevator between upper and lower town of Lisbon, constructed by Mr. Eiffel. Favorite shop: Any ceramics shop in Vila de Conde, a little town north of Lisbon. Advice: Forget all your prejudices, relax, and return to the time of your adolescence. Basic factsLocation: west coast of Portugal. Population: 681,063 (city); 2,000,000 (metropolitan area). Ethnic mix: 70% Portuguese, 20% minorities from Macau, Brazil and other parts of Europe, 10% African. http://www.worldexecutive.com/cityguides/lisbon/ – the business traveler’s first stop to find great rates on hotels, flights, and to read other city info. http://www.lonelyplanet.com/destinations/europe/lisbon/ – the folks at Lonely Planet offer a no-frills, less conservative look at what the city has to offer. http://www.timeanddate.com/shop/cities/133.html – if you have time to shop before your trip, check out this site with links to the best books on Lisbon. 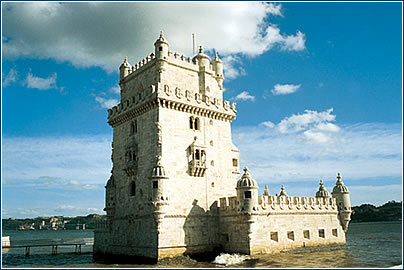 http://www.fodors.com/miniguides/ – from the Fodor’s homepage, you can find well-rounded travel & tourism guides for cities all over the world, Lisbon included. 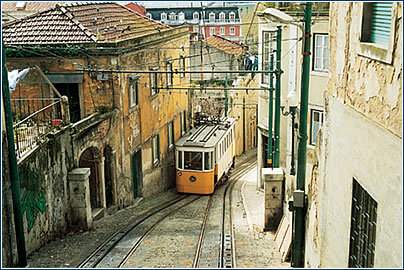 http://www.world66.com/europe/portugal/lisbon – a decent, easy to navigate site for travelers who don’t need too many details. http://www.kasbah.com/guides/lisbon.htm – self-billed as “the world’s most powerful travel resource”, this is a good starting point for prices on flights, accommodation, etc. · Portugal currently boasts one of western Europe’s fastest climbing economies, with an annual growth rate of over 3% during the last few years. 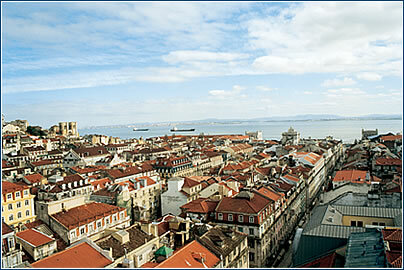 Lisbon also boasts one of the lowest unemployment figures in Europe. · Being part of the EMU (since 1999) has strengthened Portugal’s trading bonds with the other European countries – especially Spain, Germany, and France. EU membership has also brought massive investment in infrastructure, which has boosted the domestic construction industry and also made it generally easier to do business. Being chosen to host the UEFA football championship in 2004 in its recently constructed “Stadium of Light” has helped put Lisbon on the map as a thriving, progressive capital city. 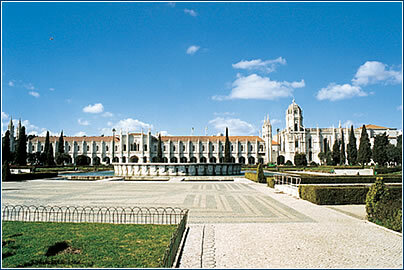 · The main industries in Lisbon are tourism, followed by finance, insurance, consulting and telecommunications. The Baixa district is the location of many of the banks and major financial services. · When addressing someone, it is customary to use their title – especially if they have a profession (e.g. Engenheiro) or university degree – followed by their full name. · Business suits are standard office attire for both men and women, and may even be worn to social functions. It is considered rude to write anything official in red ink. · Business socializing generally focuses on eating and drinking in bars and restaurants, seldom extending to people’s homes. Alcohol will usually be drunk with all meals, although local business people hardly ever overindulge during business meetings.